The men and women of a Bible study at Charleston, South Carolina’s Emanuel African Methodist Episcopal (A.M.E.) Church welcomed Dylann Roof into their circle on June 17, 2015. Then, after an hour of discussion and prayer, the 21-year-old white supremacist took out a gun and opened fire on them. Declaring his hatred of African-Americans, Roof methodically murdered one unsuspecting person after another. Of the nine people killed, six were black women: Cynthia Hurd, Susie Jackson, Ethel Lance, Depayne Middleton-Doctor, Sharonda Coleman-Singleton and Myra Thompson. As we mark the one-year anniversary of the Charleston massacre, the place of African-American women in the tragedy and its aftermath continues to demand attention. How did the shooting impact black women? This was one of the many questions that inspired me to start the hashtag #CharlestonSyllabus on Twitter following the shooting. Now a book co-edited with professors Kidada Williams and Keisha Blain, the goal of #CharlestonSyllabus is to provide a historical context for understanding the shooting and explore themes and issues that the media and politicians have misconstrued or ignored altogether. One such issue is that black women, without due recognition, continue to endure the pain and carry the trauma of America’s legacy of racial violence. The Charleston shooting also revealed the central role black female activists have played in struggles for racial and gender equality, and their importance as pillars of black religious communities. In discussions of racial violence in U.S. history, the image most often invoked is that of the black male, from the slave narrative of Frederick Douglass, to images of lynching, to martyred civil rights era leaders like Medgar Evers and Martin Luther King Jr., to more recent figures like Michael Brown. Black men, as representatives of the race, have functioned as the archetype of violence inflicted upon African-Americans as a whole. Mainstream coverage of the Charleston shooting followed this pattern. Much of the media’s focus centered on the death of Reverend Clementa Pickney, a South Carolina state senator and the pastor of Emanuel A.M.E. Lacking Pickney’s public visibility, the female victims received comparatively less attention. This type of marginalization reminds us of the need to recognize America’s long history of violence toward black women. Enslaved black women, as seen in the narratives of Harriet Jacobs, Mary Prince and others, faced the constant threat of sexual violation and physical abuse at the hands of their masters and mistresses. During Reconstruction and throughout the Jim Crow era, lynch mobs and white terrorist groups like the Ku Klux Klan regularly targeted black women. 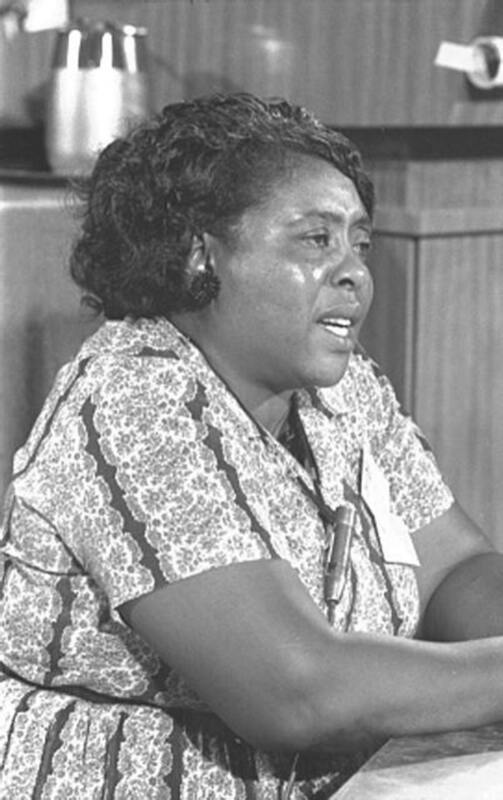 As black women like Fannie Lou Hamerstood on the front lines during the civil rights movement, they constantly endured the violent reprisals of white law enforcement and vigilantes. And today, social media and hashtags like #SayHerName bring awareness to the deaths of Tanisha Anderson, Natasha McKenna, Rekia Boyd, Sandra Bland and other black women who have lost their lives at the hands of police. The Charleston massacre marked yet another moment of violence against black women and its traumatic effects. By methodically executing six black women, Roof demonstrated no regard for their race, class, gender or age. The oldest victim, Susie Jackson, was 87. The three survivors, Polly Sheppard, Felecia Sanders and her 11-year-old granddaughter who played dead, were left to suffer through the horror of what they witnessed and carry those memories with them for the rest of their lives. It is essential to acknowledge the unique toll the shooting took on these women and others. At the same time, we must not view black women solely as victims. Throughout U.S. history and up to the present, African-American women have been the backbone of the black church. This is certainly true for Emanuel A.M.E. The resilience of the Emanuel A.M.E. community in coping with tragedy over the past year is due in large part to the collective strength and faith of its female congregants and leaders. In January of 2016 Reverend Betty Deas Clark became the church’s first female pastor. African-American women were also instrumental in demanding justice and historical reckoning in the shooting’s aftermath. 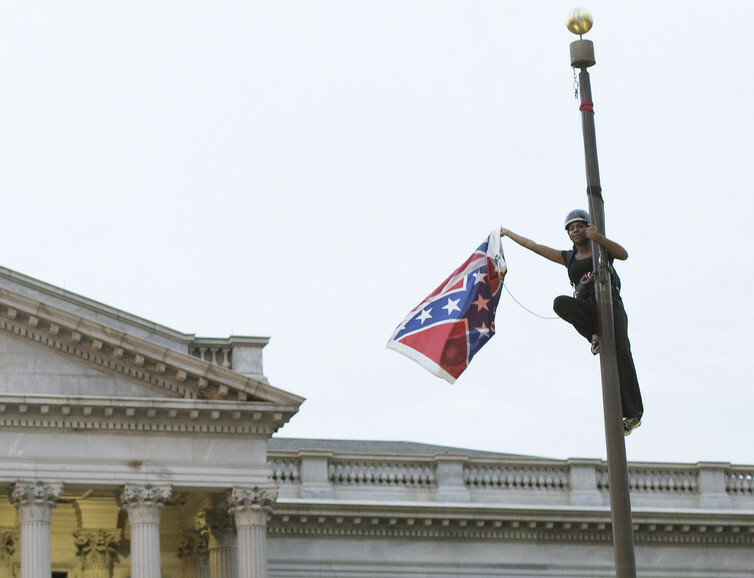 While South Carolina’s politicians may congratulate themselves for removing the Confederate flag from the grounds of the State Capitol, it was in fact a black woman, Bree Newsome, who determined that the stars and bars would fly no more. In the name of Jesus, this flag has to come down. You come against me with hatred and oppression and violence. I come against you in the name of God. This flag comes down today. How we choose to remember the Charleston shooting matters. Black women – those tragically lost, those who survived and those who continue to fight – must be at the center of our remembrance. By not doing so, we will fail to fully understand the historical significance of what took place at Emanuel A.M.E. on the night of June 17, 2015. Chad Williams is an Associate Professor of African and Afro-American Studies at Brandeis University.